Food is an essential part of life. Equally pleasurable as it is necessary. From the moment we are born, we start creating emotional connections with food. We associate food with nurturing, comfort, celebration and reward. Unfortunately, negative associations such as shame and guilt are also quite common. Even though eating should be a simple physical process of hunger, eat, stop, repeat – for many it is a daily psychological battle. It is within this emotional space that overeating can become a problem. When we continually miss (or ignore) signals to stop eating once we are full, or we eat without actually being hungry, the result can be obesity with all its related health issues. If you have weight to lose, chances are you have an issue with overeating. Yes, hormonal imbalances, thyroid dysfunction and medications do play a role, but for many the main problem is simply consuming more calories than needed. In the event you are overeating, whether consciously or not, you need to address the root cause to break the cycle. Going on a strict diet is rarely a long-term solution. Overeating and restrictive eating are two sides of the same coin. Deprivation can be a trigger for overeating just like stress, low moods or anxiety. More about that later. For now, let’s explore 3 surprising reasons why people overeat and constructive ways to deal with them. Perhaps work is stressful or a once loving relationship has come to an unpleasant end. Maybe your teenager has turned into someone you no longer recognise, or you are a new mom whose world has been turned upside down. Modern life doles out an endless supply of stress. When comfort eating fills a void that should be met through loving relationships, a sense of community, effective stress management and adequate self-care –a problem quickly ensues. A fragile emotional state is a significant reason why people overeat. The kilos slowly pile on and before you know it you can’t fasten your jeans because the gap between the two sides of the zip is the size of the Grand Canyon. This can create a vicious cycle of shame, guilt, self-loathing, stretch pants and wait for it…. more comfort eating. What to do: Seek professional help straight away, ask for support from friends and family and prioritise self-care before bad habits start to form. Do more of the things you enjoy and find ways to reduce your anxiety that doesn’t involve a slice of cheesecake. Keep busy to avoid eating out of boredom. Go for a walk, listen to music, pray, meditate, read a good book, phone a friend. Do those things that nurture your soul and takes your mind off eating. Breakfast involves a pit stop at the drive-through on the way to work because you overslept – again. Come mid-morning a muffin from the staff canteen goes down well with a cup of tea. You didn’t have the foresight to pack a lunch so you join your colleagues for a pie at 1:00 pm. The vending machine chocolate bar is a “pick-me-up” that gets you through the afternoon. After a long day you get home ravenous and finish a box of crackers with cheese because you are too tired to cook. This might be an over exaggeration but it gets the point across. 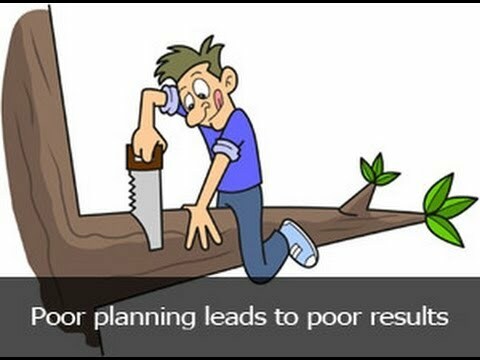 Failure to plan is planning to fail. Processed foods are highly palatable meaning they taste good, too good in fact. They are sweet, salty, creamy, crunchy – all very appealing to our senses and the brain’s reward centres. This carefully engineered chemical combination messes with our “off switch”, so we don’t know when to stop eating. Junk food has more energy (calories) than we need, with fewer nutrients and fibre. To top it all off, they spike our blood sugar and insulin, which keeps us needing to eat every 2 hours to avoid feeling tired and cranky. Relying too frequently on convenience foods will quickly ensure that you are overeating. What to do: Get organised. Set an alarm clock to wake up earlier and make yourself a protein-rich breakfast. Prep a lunch box the night before and have healthy snacks like biltong and nuts on hand at work. Use spare time on the weekend to meal prep in advance. Buy a slow cooker so that you can come home to a ready-made hot meal. 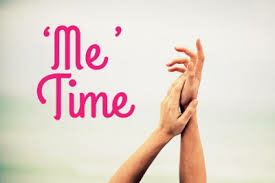 Change your mantra from “I don’t have enough time in the day to make healthy food”, to “I will make the time because my health is a top priority”. Eat more fibre-rich veggies and salad, have protein at each meal and include healthy fats like butter, olive and coconut oil. With time, kick the sugar habit and leave treats for special occasions. Eating healthily doesn’t have to be a death sentence, but it should become a way of life and something that you get right at least 80% of the time. Eating real foods low in carbs will also balance your blood sugar and fix that damaged “off switch”, making it much easier to control your food intake. This is a biggie. Getting radical with your diet and exercise more often than not doesn’t work out well. Being extreme requires a Herculean effort to stay on track. Restriction can take away the pleasure associated with eating and can make a social life challenging. Deprivation also tends to promote an unhealthy relationship with food. Unless you are an elite athlete or have a serious medical condition, being drastic is not necessary when it comes to weight loss and health. In fact, it can do more harm than good. Overeating is very common when things get extreme. Too much exercise for example can make one very hungry. A trap many overly enthusiastic exercisers fall into is the “license to eat” mentality, leading them to eat more than they are actually burning off. Frequent and prolonged intermittent fasting or severe restriction of carbs or calories during the week can lead to full-blown binge eating on the weekend. Even if you don’t succumb to temptation for a few weeks or months, eventually a time will come when your willpower fails and you revert to old habits, putting all the weight lost back on with interest. Why? Because EXTREME is rarely SUSTAINABLE. If you are a Banter struggling to lose weight, you might be overdoing the fats and oils (while ignoring signals that you have had enough). Fat is high in calories but it isn’t bulky, it doesn’t fill up your plate, so you think you aren’t eating a lot of food, but in actual fact you are overeating. Throw a few bullet-proof coffees into the mix and this is almost guaranteed. Cut back on the fats a little and the problem should get sorted out. What to do: If a radical approach to weight loss makes you physically or mentally uncomfortable or your relationship with food precarious, don’t do it. There really are better and easier ways to get healthy and lose weight than being an extremist. Start by being more mindful of your eating behaviour, food choices and portion sizes. Before you tuck into a second helping, ask yourself if you are really still hungry. You don’t need to be perfect, but you do need to be consistent with making good choices. 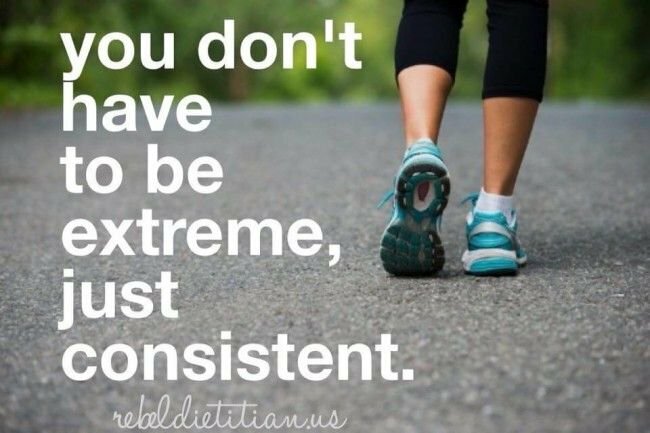 With time this consistent effort will break the pattern of overeating and insidious weight gain. Posted on April 10, 2018, in Primal 101 and tagged being extreme, combatting overeating, fat loss, poor food choices, poor planning, reasons for overeating, self care, weight loss tips. Bookmark the permalink. Leave a comment.